My kids are a huge part of my brand, and that was intentional. When I was looking for a way to build my own business, I knew I wanted them to be as big of a part of the how as they are of the why. 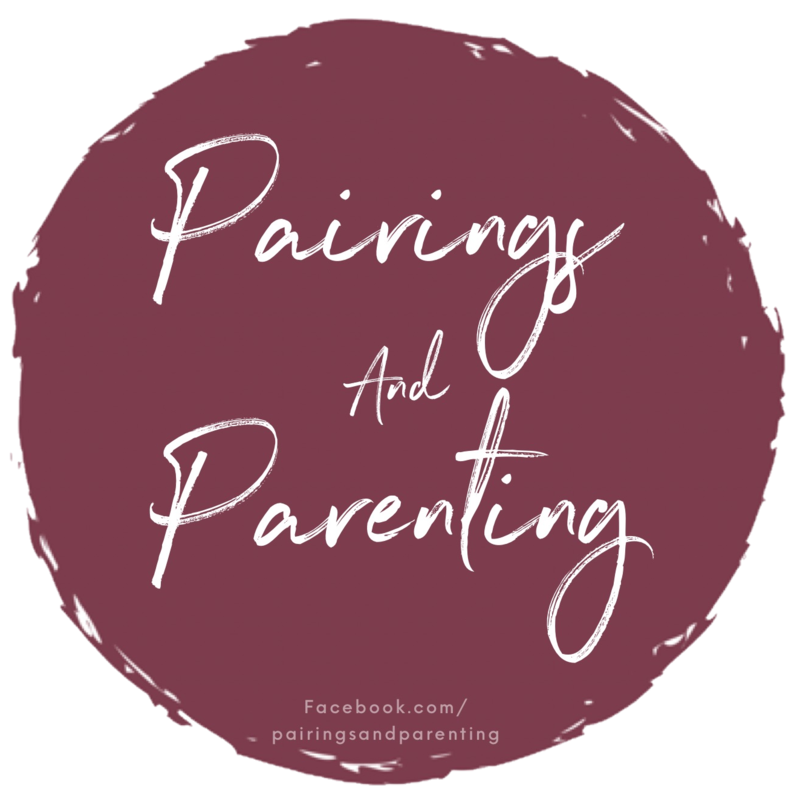 I mean without the “parenting” in Pairings and Parenting, I’m just a wino who likes to talk a lot! But juggling the demands of motherhood and a business is no joke! Rewarding? YES! Easy? NO STINKING WAY! I actually work outside the home in addition to running a home business, so my time to work on my home and spend time with my children is squeezed into these micro windows. This means I REALLY have to work at making the most of my time! Monday through Friday I wake up an hour before the kids and knock out some daily tasks for the business. This can include returning emails, scheduling content, brainstorming and outlining ideas, working on graphics, etc. This also gives me a few minutes in a quiet house to enjoy my coffee before our daily chaos begins. I have found those few minutes of silence, reflection and “me time” essential for my sanity as I balance the demands of my many roles. Saturdays are my days to dig in and get more time-intensive projects done so I actually have a functioning platform to work with throughout the week. My husband also works crazy hours outside the home on Saturdays, which means it is just me and the kiddos. With two small children running around, and the responsibilities of running a household, it was really difficult for me to get much work done. I would wake up early and set up a few fun activities for the kids to do while I got some work done. They wanted more time with me, I got nothing done. Frustration ensued on both sides. So I took a cue from my weekday playbook and tried waking up even earlier to get more done before they got up. But the earlier I got up, the earlier they got up. It’s like they could sense that it was Saturday and mom wanted to get stuff done. The earlier they woke up, the crankier they were. So despite two extra hours in my day, I somehow got even less done. Our “work from home” mornings look a little something like this. Notice my child concocting some crazy plan and the coffee in my hand. 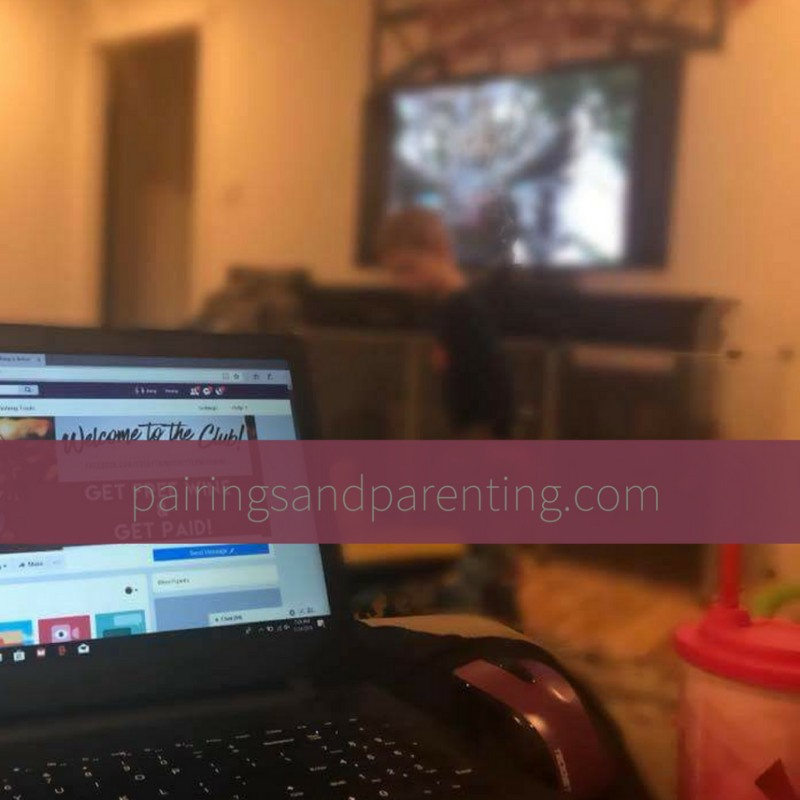 Being a mom who works outside the home as well, I am also really sensitive to the fact that this was making what little time we do have together NOT FUN. In my officially unofficial case study, aka my life, I found a few changes made a HUGE difference in our day. Our time together is more enjoyable for all of us, I get more done, and our weekends are much more harmonious with these changes. So how did I do it? 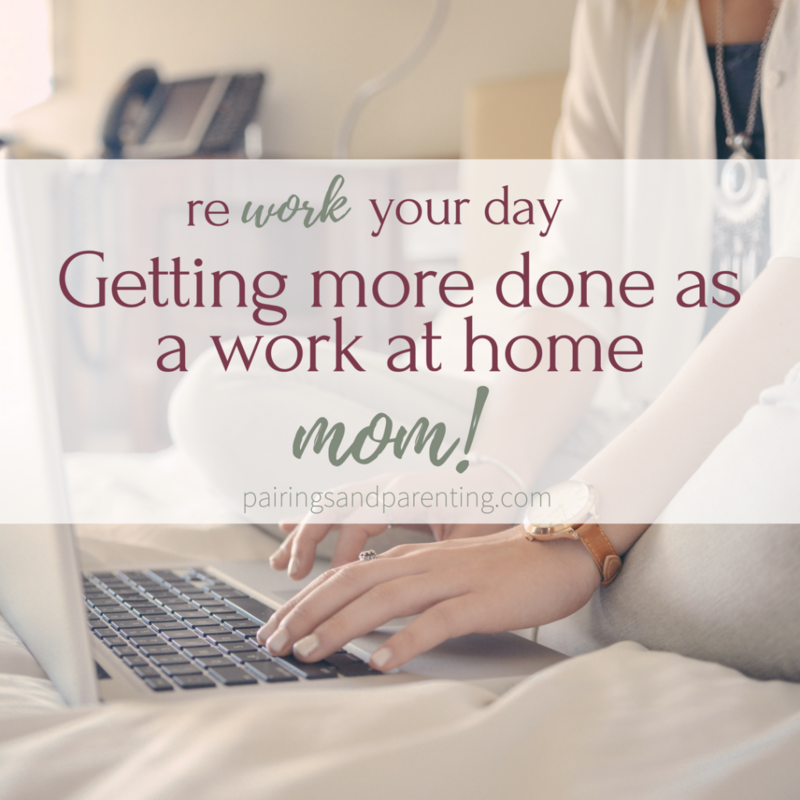 Reworking my day, Work At Home MOM style! I ditched the morning alarm and got up when the kids did. This is usually still pretty darn early (before 6am) so it’s not like we are wasting our day away. They just tend to be in better moods throughout the day if they wake up on their own accord and we start the day on their terms. Better moods for them equal a better mood for Mommy. Win #1 for the day! We have have some breakfast and spend some time just enjoying each other’s company while we all wake up. This usually involves some cuddles and morning cartoons, and lots and lots of coffee for mama! Once breakfast is wrapped and we have the sleep out of our eyes, we make a wish list for what we want our day to look like and what we want to accomplish. We break down our goals for the day into three categories: House, Kids, and Work. Of course there are some pretty obvious things that get taken off the list like “go to Disneyland” or “make a million dollars”. But I do try to work in the kids wants for the days as we can. These wish lists are not all “fun” things. They also include chores or projects that are mommy’s wish list. My kids think it is funny that chores on are on my list, but if I had a fairy godmother the first thing I would wish for was someone to fold and put away the laundry mountain in our guest room. Mommy wishes to not live in a pigsty, go figure! What are the non-negotiables that MUST be done no matter what? We rank the items on our list in number order so we can work through them in order of importance. The kids usually whine just a little when “clean your room” gets a higher rank than “go swimming” but that’s just life. We use the rest of the morning knocking out things from the house & kids lists together since the kids are actually in a stage where they enjoy cleaning (just not their room). I try to keep our chore related tasks short enough that we can end up with a fun activity to wrap our morning before lunchtime. We enjoy lunch together, then the kids head for a nap. But wait! Now it’s past lunchtime and I still haven’t touched my work? Did I miss something? Here’s the secret! Nap time is the Holy Grail power hour for moms. Haven’t heard of a power hour yet? Author and Podcast-er extraordinaire Gretchen Rubin talks a bit more about the power of a Power Hour here. She uses her Power Hour for things like chores and nagging tasks shes been avoiding. But in reality, the Power Hour can be a powerful concept for accomplishing a number of things. It is essentially a commitment to yourself and your tasks to focus on them and them alone. My work wish list from step 2 lays out my game plan for my Power Hour. I work each task in number order, giving each one my full attention. I found that when I was organized, focused and prepared, I easily got as much done in 90 minutes as I would in four hours+ with interruptions from the kids. Post nap time is reserved for the funnest things on our list! With our “must do”s crossed off our lists and my work done to the best of my ability, we have the rest of the day to do those super fun items on our wish list with minds free form stress! I used to feel so defeated in the afternoon, like the day had beat me. Using my reworked day, even if I don’t get to everything on my list, I know I used my time as efficiently as possible and put my best foot forward. I feel a lot better about things that stay on my list for an extra day or two knowing I am prioritizing my tasks and giving them my full attention. And let me tell you, the good times are even better when you have a free mind! Your work list should already be written and prioritized so now you just have to work that plan. Don’t get stressed thinking about the things at the end of the list. Start with number 1, knock it out and on to number two! The key here is to have your list prepared, ranked, and ready before your Power Hour, so you don’t waste precious time and momentum finding your way into a task. This is THE biggest key to getting through your list. No TV, no scrolling through social media, block out incoming texts, ignore every other number on your list. Give the first item on your list your total and complete attention and NOTHING ELSE. Continue this down your list and don’t doddle in between. If something on my list involves social media, I usually try to save it for last because I know social media is my kryptonite. It is the thing most likely to pull my focus, and if I put it towards the top of my list I may never make it out! Be aware of your own personal kryptonite, whether it be incoming emails, social media, or something else and plan accordingly! This is a time for action, not day dreaming. Know what you want to get done, know your game plan on how you want to do it, and GET IT DONE! For example, if one of the tasks on my lists is to write two new blog posts, I’m not going to wait until this time to think of what they might be. I keep a running list of post ideas in Trello and add to it whenever an idea strikes me. I use my micro windows throughout the week for researching and making an outline. When Nap Time Power Hour rolls around, I pick two prompts I have done the prep work for and hit the ground running. 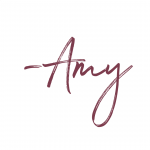 If website updates are on the list, I have a few bullet points that I’d like to get done and some inspiration references so I am ready to roll. I use and highly recommend the app Trello for note keeping and organization. You can categorize and color code to your hearts desire. You can also have it on both your computer and phone to have your business always at your fingertips. With the right support and mindset, you can accomplish so much! But don’t just take it from me! Friend and fellow blogger Holly from Imperfect Momma also has some great tips about how to rock your to-do list (and not go crazy doing it)! One of my favorite tips on her list? Giving yourself permission to take a lazy day (hello mental health recharge!). Better quality of time spent with my kids. When my boys got more attention to start the day, they were more likely to play more independently later on. I’m better able to keep up with household responsibilities like laundry and cleaning. My house is cleaner, my family is more at peace, and my morning is less stressed. This means I’m in a better mental space while I’m working. I am working much more efficiently and getting more done in a shorter amount of time. I hope you find these tips helpful and would love to hear some of your tips for balancing kids and work below! 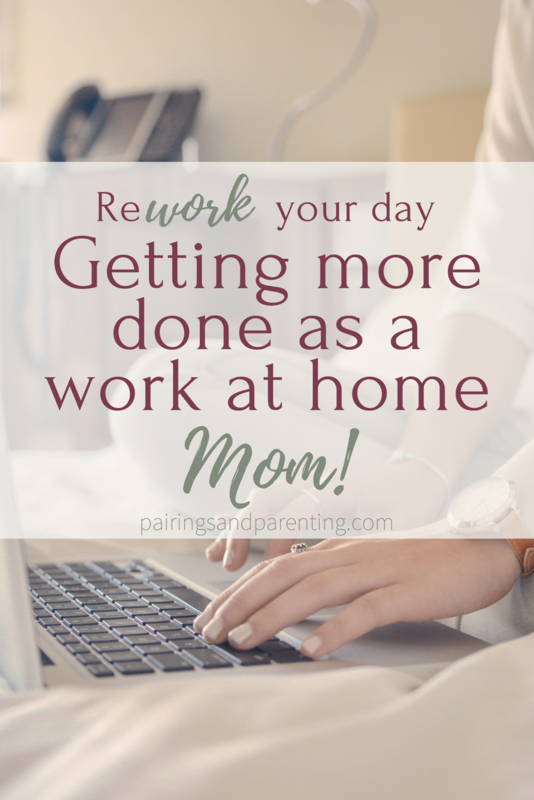 As a new mom, I’m always looking for ways to balance home, parenting, etc. This was extremely helpful! Thanks for sharing. Oh and for the free templates as well.